This is the sixth movie in the Boston Blackie series. Twelve prison inmates are paroled under Blackie's care so they they can join the war effort working at his friend, Arthur Manleder's, tool factory. Blackie allows one of them, Dooley Watson, to visit his wife, Mary, and son, Johnny. He doesn't return the next day. Inspector Farraday comes to inspect the convicts and finds Dooley missing. Dooley has retrieved the $60,000 he stole before going to jail. He went to Mary's apartment to give her the money and tell her to leave town before his partners in the crime, Red Taggart and Nails Blanton, can track him down. Mary convinces Dooley to return the money. At that moment Nails and Red knock at the door and demand their share from the robbery. Nails pulls out a gun, Red threatens little Johnny, so Dooley moves to protect his son. In the ensuing struggle, the gun fires and kills Red. Nails flees when Blackie arrives and takes the money and tells Dooley to return to the factory. He and the Runt will get rid of the body. But, Farraday catches them and charges Blackie with murder. Now Blackie has to escape, catch Nails, return the money, save Dooley and prove he is not a murderer. Boston Blackie, a reformed safecracker and Good Samaritan, convinces the governor to parole twelve convicts into his custody so that they can join the war effort working at his friend Arthur Manleder's tool factory. The parolees are to live in Blackie's apartment, but on their first night of freedom, Blackie allows one of them, Dooley Watson, to visit his wife Mary and son Johnny. The next day at the Manleder factory, Inspector Farraday, Blackie's nemesis, comes to inspect the newly discharged convicts. When Farraday discovers that Dooley is missing, he thinks that the convict went to retrieve the $60,000 he stole before going to jail. Meanwhile, at Mary's apartment, Dooley arrives with the $60,000 and tells his wife that they must leave town before his accomplices in the robbery, Red Taggart and Nails Blanton, can track him down. Appealing to her husband's finer instincts, Mary convinces him to return the money. At that moment, Nails and Red, who have rented an apartment in Mary's building, knock at the door and demand their share from the robbery. After Dooley claims that he dropped the money while fleeing the police, Nails pulls out a gun and orders Red to search the apartment. 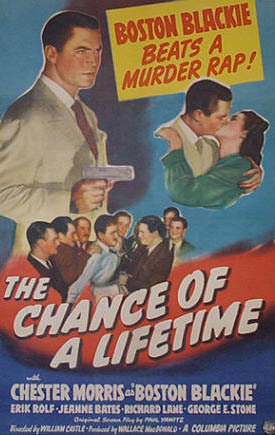 When Red threatens little Johnny, Dooley moves to protect his son, and in the ensuing struggle, the gun fires and kills Red. Seconds later, Blackie arrives and Nails runs out of the apartment. Realizing that Farraday will never believe Dooley's story, Blackie takes the money and the gun and sends the parolee back to the factory while he and his sidekick, The Runt, dispose of Red's body. 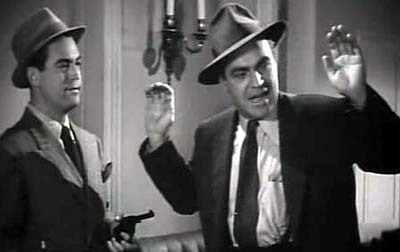 As Blackie and Runt drag Red back to his apartment, Farraday arrives and arrests Blackie for murder. To avoid jeopardizing the parolees, Blackie confesses that he shot Red and hands over the money. Meanwhile, at Blackie's apartment, the convicts rally to Blackie's defense and force Dooley to tell them the truth. They are just about to take Dooley to headquarters when Blackie arrives in Farraday's custody. Claiming that he needs privacy to bid his friends farewell, Blackie sends Farraday and his assistant, Sergeant Matthews, into the hallway. After telling the convicts that he plans to find Nails and wring a confession from him, Blackie and Runt escape and return to Nails's apartment. Discovering that two police officers are guarding the apartment, they pose as carpet cleaners to gain admission. When the real carpet cleaners appear, Blackie and Runt slip through the back door. To decoy the police out of the apartment, Blackie calls headquarters and, while pretending to be Farraday, orders that the officers be recalled. Blackie and Runt then return to search Nails's apartment, but when Farraday deduces Blackie's scheme, he drives to the building. 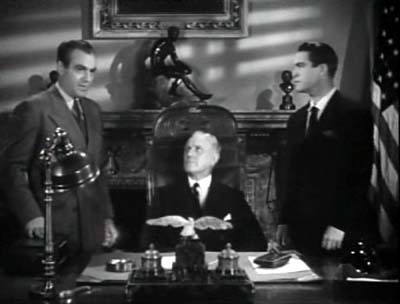 While Runt and Blackie escape in the dumb waiter, Nails calls Dooley and informs him that he has kidnapped Mary and Johnny, demanding the money in exchange for their freedom. That night, Dooley meets Nails and tells him that Blackie has the money. Meanwhile, at Blackie's apartment, Manleder is having a discussion with the parolees when Blackie appears. When Manleder informs him about Dooley's predicament, Blackie decides to use the money to trap Nails. 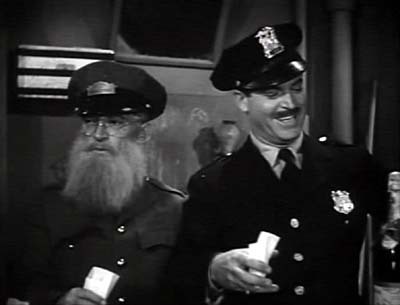 Disguised as scrubwomen, Runt and Blackie penetrate police headquarters and remove the money from the safe. When Nails reads the headlines about the theft, he goes to Jumbo Madigan's pawn shop in search of Blackie. Blackie is there waiting for him, and after Nails pulls out a gun and accompanies Blackie to his apartment to retrieve the money, Jumbo notifies Farraday. Nails is greeted at the apartment by Manleder and the parolees, who tie a rope around him and drop him from a window, threatening to let him fall to the street unless he confesses. Farraday then breaks down Blackie's door just in time to witness Nails's confession, exonerating both Blackie and Dooley. His social experiment a success, Blackie has a second group of convicts paroled into his custody.